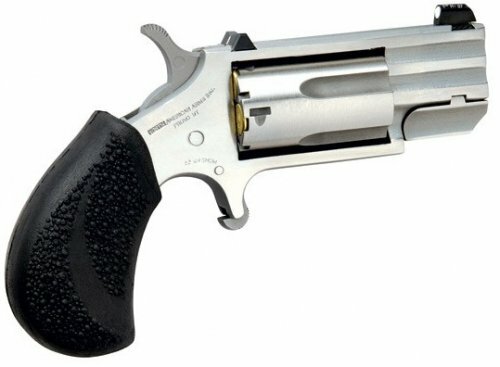 NAA NAA-PUG-D The Pug 5RD 22MAG 1"
The name "Pug" may have derived from the Latin Pugnus, meaning Fist. With this in mind, the NAA Pug can be characterized as multum in parvo ("much in little") in reference to the small and convenient size. Squat and sturdy like its namesake dog, The NAA Pug is chambered in 22 Magnum and sports a 1" heavy barrel. You can count on this stocky companion to deliver a bite even worse than his bark. Slightly oversized pebble-textured rubber grips enable the handler to keep a firm "leash" on this pocket-sized puppy. The XS sighting system provides a quick sight picture and will enable the handler to direct the bite.